It’s been 10 years since Sevendust turned the lights out and cut the power, having not unplugged the amps since 2004’s Southside Double-Wide: Acoustic Live, but Time Travelers & Bonfires returns the band to the acoustic arena, where the band is more than capable of carrying themselves. On one hand it might be easy to worry that Sevendust’s normally aggressive nature wouldn't properly translate to an acoustic setting - things could easily devolve into dismissable power ballads - but Time Travelers & Bonfires works quickly to dispel any such notions. Sevendust staples “Black” and “Denial” get re-imagined, restructured and re-energized with the latter reborn into something of a nightmarish lullaby full of jilted tones hushed vocals and ominous riffs. “The Wait” is a standout amongst the half dozen new cuts, an emotionally fueled track that sounds like a potential single and one that could translate well reworked as a full on electric tune. The piano led “One Life” is as brilliant as anything on the record with a strained hook that’s as memorable as it is singable, but as far as new material here goes, “Bonfire” takes the crown, a track that exemplifies what you would think Sevendust would sound like writing original acoustic material - wonderfully gritty melodic vocals, bouncy percussion and staunch guitars that break into a solo or two. Sadly there are no songs from 2013’s Black Out the Sun but here's to hoping they do another acoustic release down the line. Frontman Lajon Witherspoon is a force on this record and if you’re a Sevendust fan you know how utterly talented he truly is, but perhaps you didn't know he was this gifted vocally. He perfectly navigates the ebb and flow and shifting peaks and valleys of Time Travelers & Bonfires. 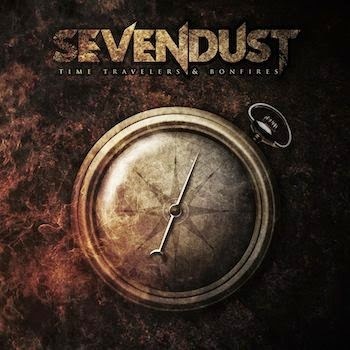 Time Travelers & Bonfires is a refreshing change of pace for Sevendust to say the least, a record that clearly proves how sonic capable and dexterous this band is.